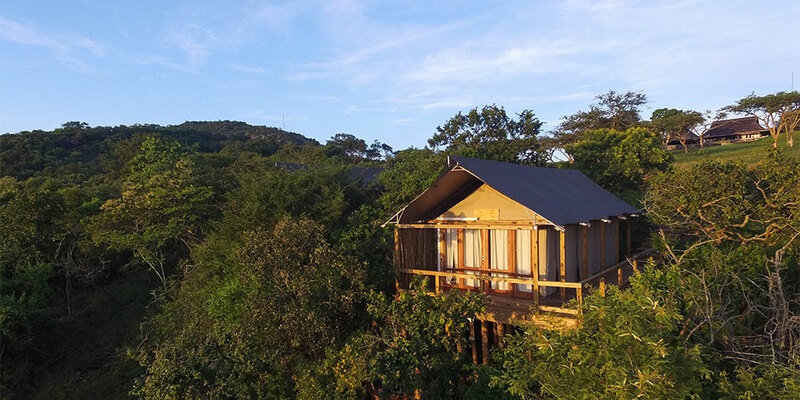 Our Luxury Safari Tents blend gently into the natural setting on the hillside, creating a peaceful and romantic atmosphere. 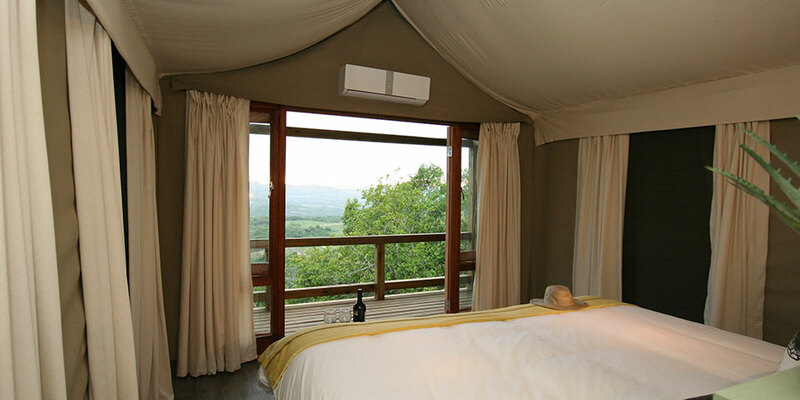 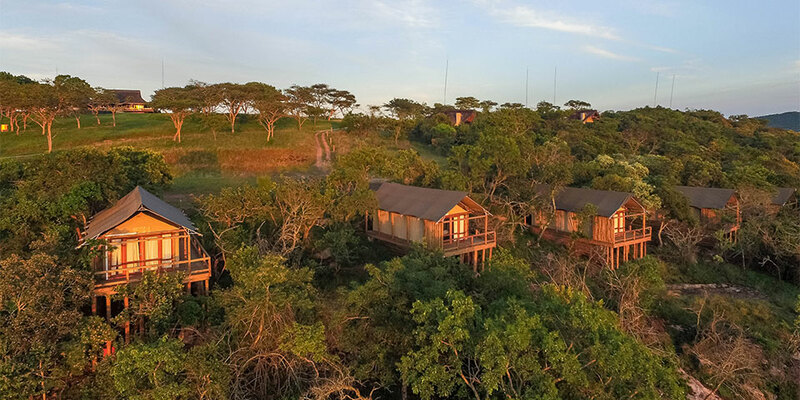 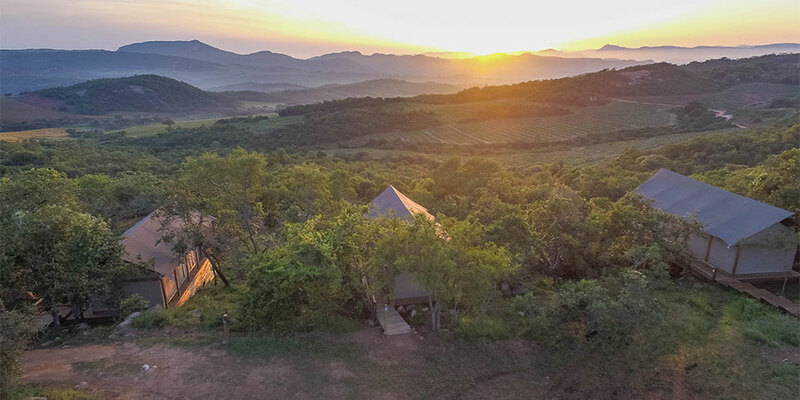 Pitched atop a 45m2 wooden deck, our twelve permanent safari-style tents offer breathtaking views over the bushveld. 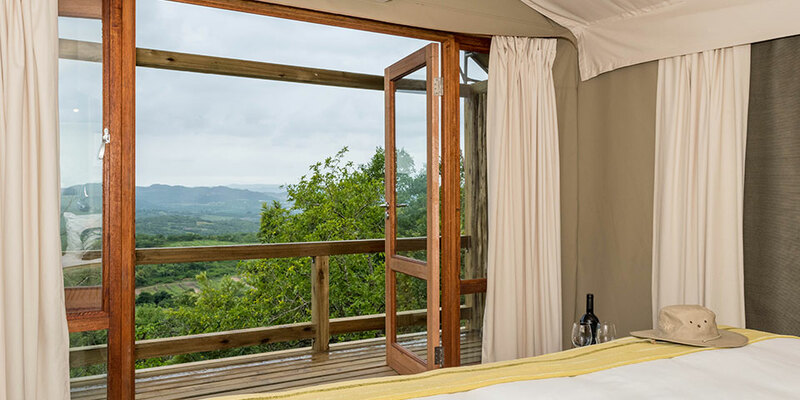 Roll up the side panels of your tents, and fall asleep to an African breeze that carries with it, the calming sounds and smells of nature. 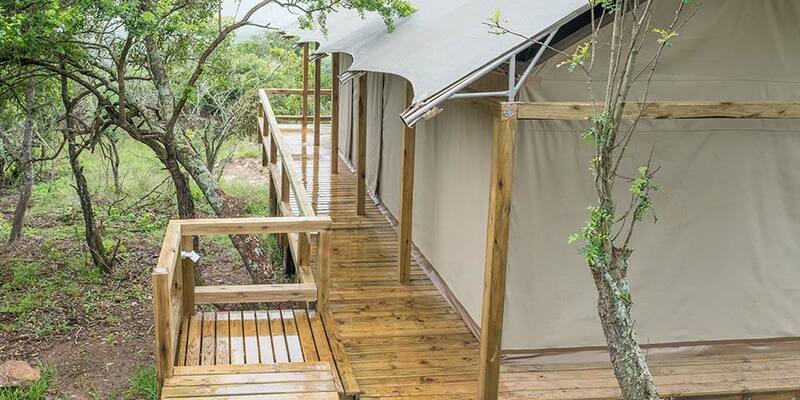 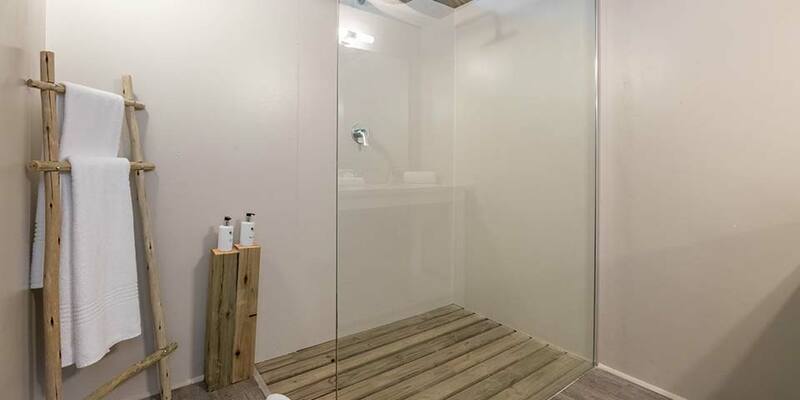 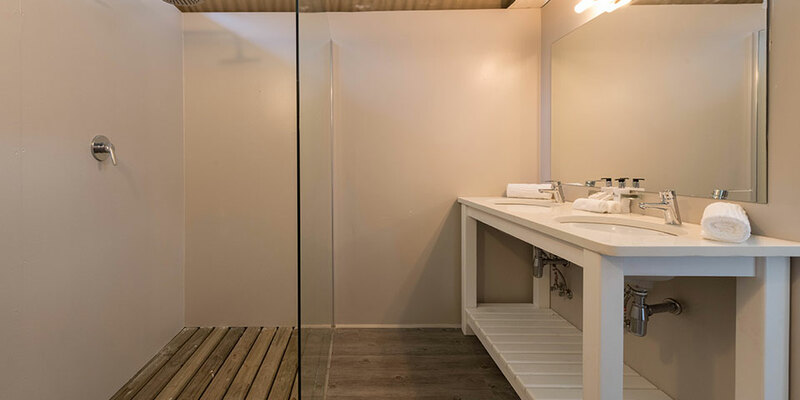 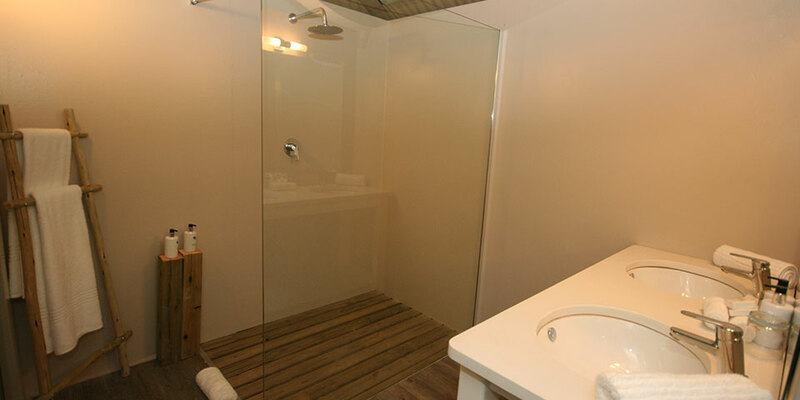 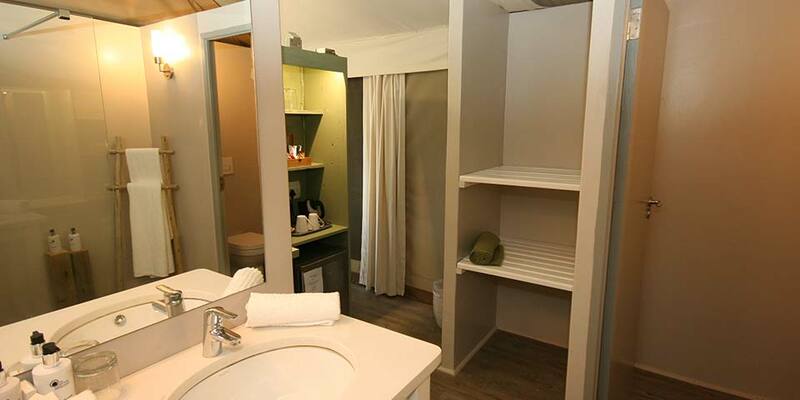 All of the air-conditioned tents feature King-sized beds (or 2 ¾ beds on request), an en-suite bathroom with a shower, and a fully stocked mini-bar with tea and coffee making facilities. 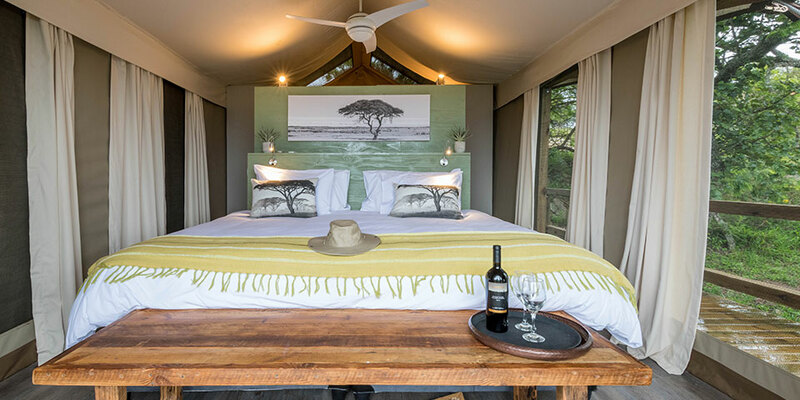 A maximum of two adults can share a luxury tent. 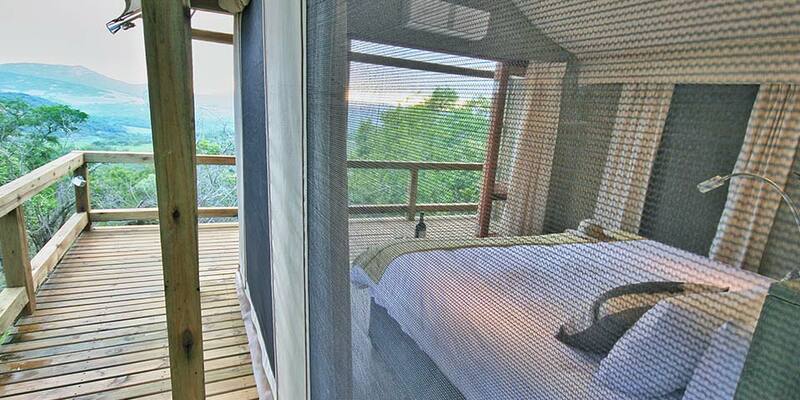 Regrettably, no children under 12 are permitted in the tented accommodation.